Don’t fit the mould and never hesitate when it comes to taking risks? Ever had a problem with conforming to certain societal standards? You little rebel you! There’s a reason you’ve found your way to this page. 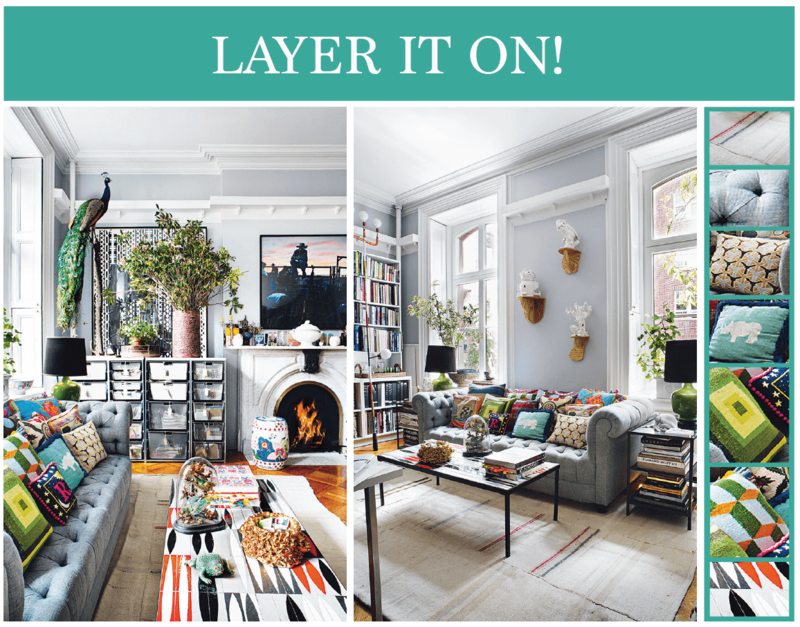 The eclectic home is definitely for the rule-breakers in life – layering texture upon texture, mixing one period with the next or hazarding floral patterns against zebra stripes. 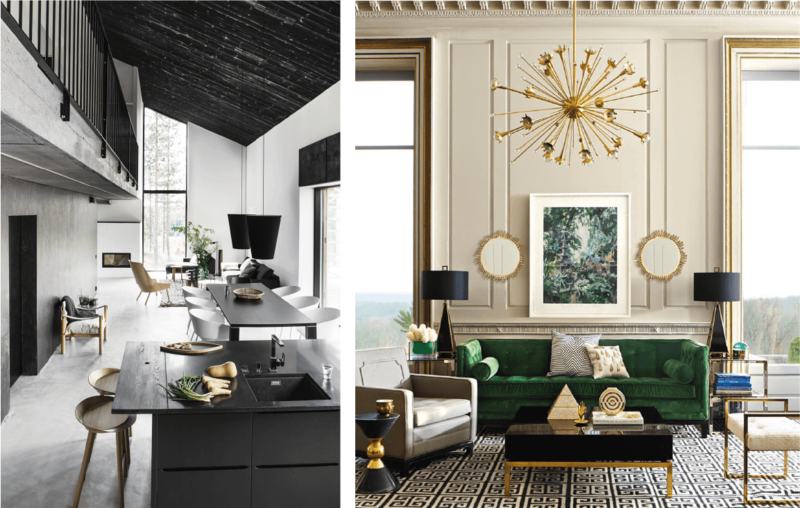 Eclecticism comes packed with the exhilarating freedom to go where your heart takes you unlike the set ways of Scandinavian or Art Deco design. Freedom, though liberating, is at times tougher to handle than a set of limitations. Imagine a child in a candy shop without adult supervision; it’s only a matter of time before he gets himself sick! The freedom to choose, and choose well, doesn’t necessarily come easy to everyone. Precisely because these is no rulebook, most breach the line between eye-catching and instead, land up with an eyesore. Let’s try and avoid such stressful situations shall we? Here are tips to ensure your home is a true blue reflection of you! Granted eclectic rooms are meant to bring an assortment of styles together, but ones favourite pieces cannot all be crammed in, without rhyme or reason. There must be a sense of calm despite the disarray. * Drawing up a colour chart ensures your excitement doesn’t run away with you (and your sense of style). * Pick a palette that works well together like the one chosen here – we have accents of turquoise, jade, purple, ruby and pink to complement the neutral tones of grey, navy, brown, white and black. * Colour is only one of many aspects to keep in mind. Here a sense of symmetry is evident, maintaining the balance via spatial placement. Also, both chairs here are relatively similar in size and have a black base, despite stated differences in design and pattern. You’ve got to tie the loose ends together despite the intentional frayed appearance! 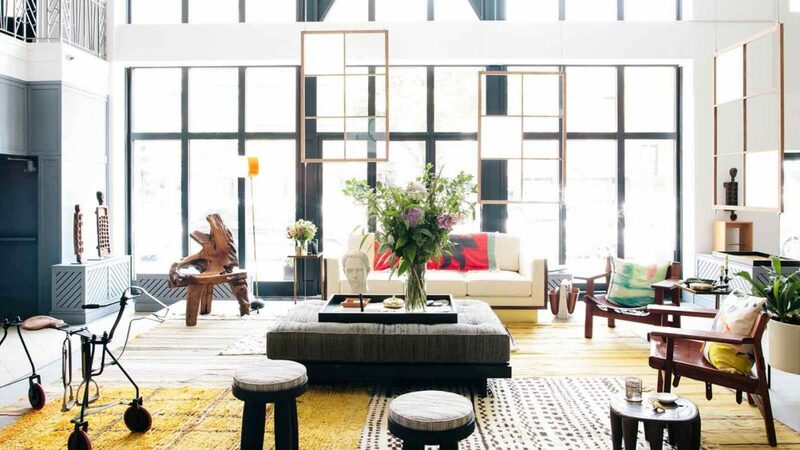 Eclectic is about layering and loads of personality, but a repetitive motif would work wonders in the bigger picture. Despite the lack of symmetry shown here, the collage of frames on the wall set a rectangular motif in motion. It is echoed again in the cushions, side-table and the carpet. Similarly, an opposing, yet understated, circular/oval motif balances out the rectangles through the wicker chair, centre table, pendant lamp and the wicker pot. Discreet, yet extremely effective in making each unique piece mesh into a congruous whole. Now, since every little detail can’t be a planned in advance, you’ve got to let go of the reins in a few instances. When you’re stuck and inspiration doesn’t strike, allow one wacky piece to take centre stage – build your room around it! Take, for example, this large antique mirror above the basin. It sits in all it’s tarnished glory, as other bits and bobs are gradually placed around it. Other times, you’ve got to grant a bit of leeway to a particular oddity, perfect in itself – the glorious red drawer set for example. It is big, bright and best when left to its own devices. For the eclectic appeal to truly shine through, texture and prints must clash and flow into one another to offset the mismatched furniture. Backdrop: Set against a plain neutral grey, the colours and patterns do not appear overwhelming. There is curated balance. Colours: There is a set palette for this room, though it isn’t instantly apparent – shades of green, highlighted with orange and blue accents. 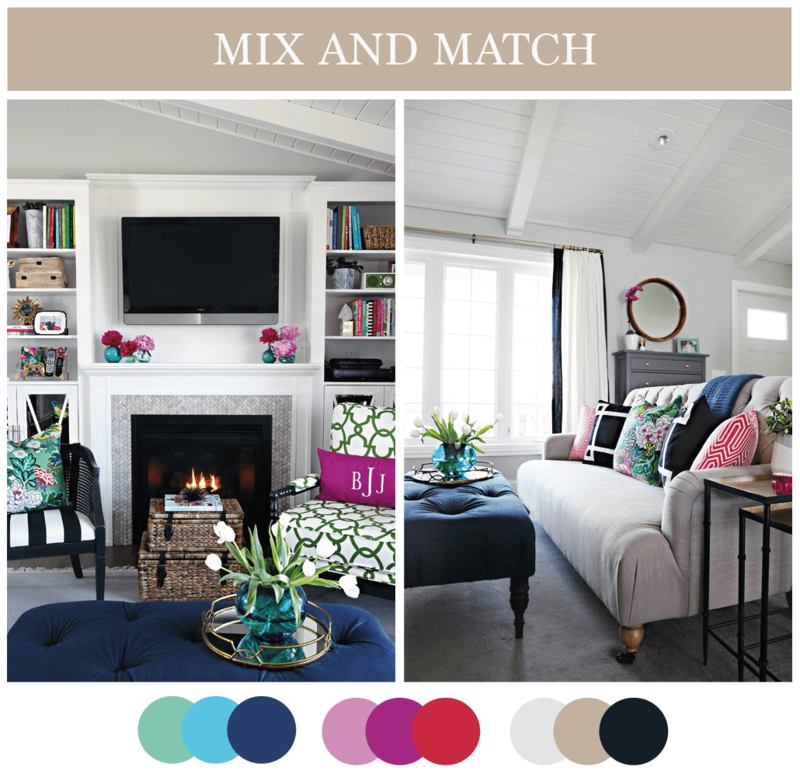 These colours are all set against a backdrop of whites, browns, black and grey (walls, windows, fireplace, ceiling). Again, the neutral tones allow the lovely colours to stand out, whilst graciously taking a backseat themselves. Texture and material: Wool, ceramic tile, hardwood, dense leafy plants, peacock feathers, plastic and marble – a veritable feast for the senses has been laid out. The (apparent) lackadaisical medley of materials and texture lend the room character, with an air of wondrous things to come. A guest wouldn’t be able to resist the siren-call of a tour about the place. An extension of yourself: A home must contain the traits of those who reside within it, and so let your rooms forever be a work in progress, like you are. It can be a never-ending quest for the next souvenir to frame, a gorgeous chest of drawers that you chance upon in a farmer’s market, bits and pieces that you know would look good in the kids room or in the hall or by the fireplace. The possibilities are always open. 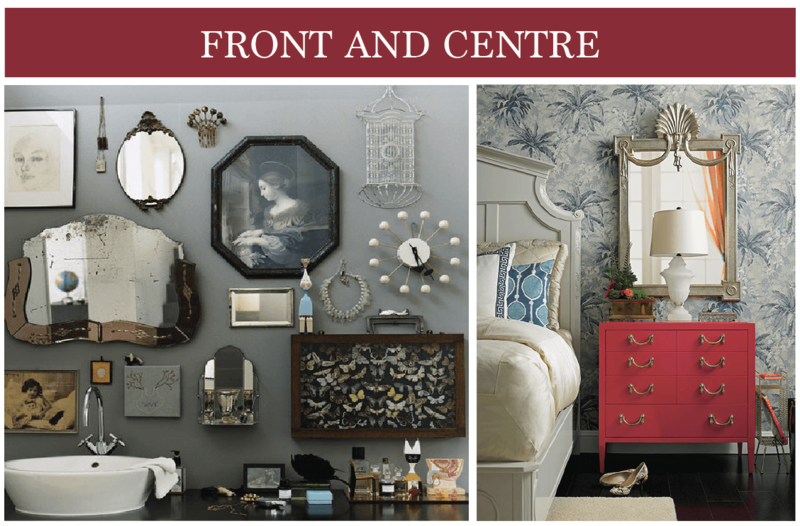 Eclectic design brings with it more avenues toward personalization. Keep the above-mentioned tips in mind before you start on your design journey, but as always, take them with a pinch of salt. The space is yours to dress as you see fit, with a little nudge on our end of course. P.S. 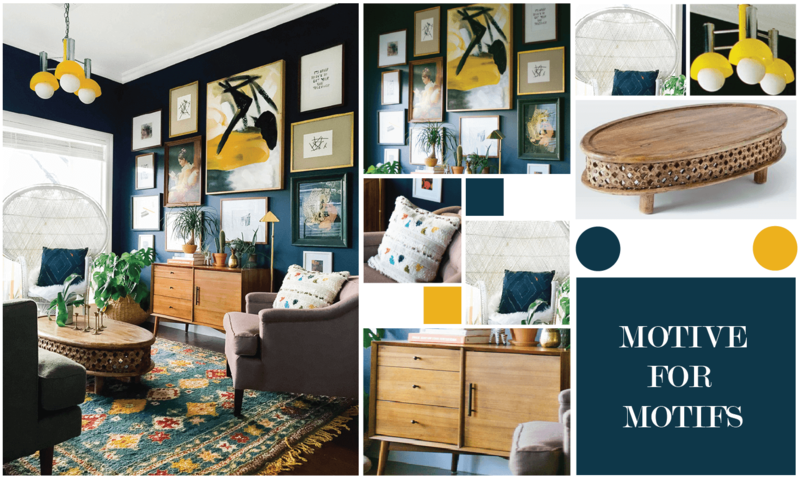 Next week marks the end of Inspiration: Volume 1, so, to commemorate, we have put together some of our favourite pieces to bring you the perfect Eclectic look for your interiors. P.P.S We’ve created a mood board to go along with! This entry was posted in Inspiration and tagged eclectic.